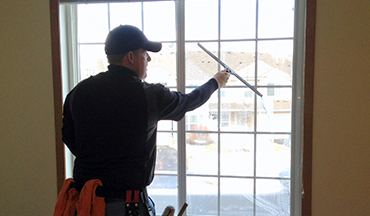 While you might think that getting your home and garden clean and looking great gets easier as the year goes on, you may be sadly disappointed. 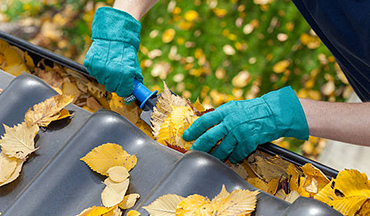 Once autumn comes along, the leaves start falling and the weather really starts turning for the worse – meaning that mud, debris, dirt and all manner of nature can find itself clogging up your external guttering. As just one of many Sutton home cleaning services we can offer to families throughout our region, Lou’s Window Cleaning will only be too happy to make sure your gutters are free from clogs and working as they should. While we specialise in cleaning windows and maintaining a number of fixtures and fittings for home and commercial use, we’re also able to apply ourselves to your external guttering. 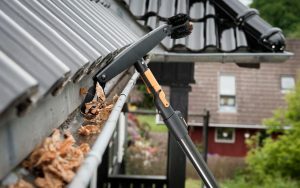 This means that the hassle of having to climb a ladder and to unclog all the leaves and dirt yourself on a weekly or monthly basis can be a thing of the past. Let’s take a closer look at your current guttering and make sure that you are fully unclogged on a regular basis – allowing water to flow freely and effectively reducing your job workload by one more task. 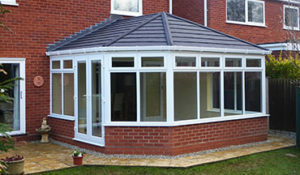 We’re happy to be able to offer this service as part of our window, door and conservatory consultation – so if you’re already booked in for window cleaning, we’ll be able to fit in gutter cleaning, too – let’s build you a quote that takes everything into account and which makes sure you have less to worry about in the long run. 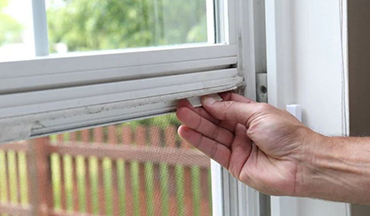 For window cleaning in London and beyond, you can depend on us – but for additional guttering services, we’ll be more than happy to add in additional expertise for a little extra. Call us for a quick chat or claim a tailored quote for your home guttering here on our website – and we’ll be with you just as soon as you need us. Call 07506 848 694 to get started!